Top Scandinavian design: Ferm Living. With solid colors and many graphic patterns. The Ferm Living home accessories will always suit your interior! The Ferm Living home accessories are inspired by Scandinavian design traditions and retro influences. From Copenhagen the Ferm Living cushions, candlesticks, hanging lamps, kitchen utensils, the Plant Box and many more beautiful interior series are designed. The Ferm Living interior products often have a strong graphic pattern with sturdy, retro colors ♥. 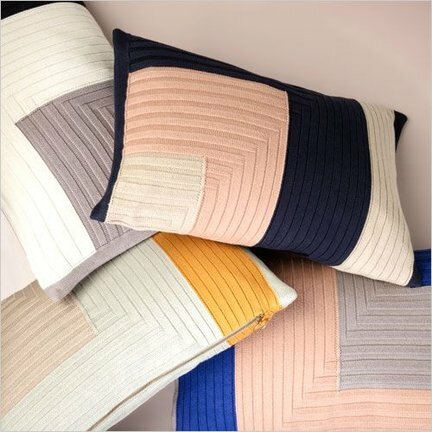 The new Colour Block series is a fine example of this: cool cushions and storage baskets with blocks, lines and brushstrokes pattern and contrasting colours.